The right screw looks good to me. The left screw looks like it could be counter sunk a little deeper into the ear so that the head of the screw is completely flush against the plastic. I'd say just give it an extra twist or two to secure it a little more, and you should be good to go! Once again, fantastic work on your kit, Fabio! Congrats on the well-deserved EIB, and we'll see you at Centurion! Ok. So going back through my earlier posts here, I see that some of the photos are breaking. The error being "URL signature expired". So I'm going to consider Facebook to not be a good place to host pictures. So I've taken the time to create a google photos album of all the pictures I've already uploaded. I'm going to go through and update all the pictures in previous posts so that they won't expire again (hopefully). So far, I've replaced all the images in the first post. I'll wait a little while to see if it lasts (or if pictures start majorly breaking - not too difficult to update now that I've got the pictures uploaded to another source location), then I'll update the other posts. In other news: As it turns out, sportsball game stadiums don't like it when you wear masks to their events... even when they're Star Wars themed..... so the pressure is off for getting it done before then. I was side-tracked a bit by realizing that my older pictures were starting to break. But I still plan to get the helmet (I should be saying bucket, shouldn't I?) completed next in line. My current pause point is trying to find the size of drill needed for the rivet holes, haha. I've already set the brow trim to length, but I'll make a separate update for that. Cheers! The torso armor straps are comprised of some elastic webbing with two, 1.5" square hook-side (I think Industrial) velcro. The tabs are sewn on. The loop side is adhesive backed and mounts directly to the armor. Hope that helps! The ROTJ CRL is due an update, the overlap is part of that as the original suits were all overlap so there was no coverstrip. Sounds like an exiting endeavour! I'll back up what Dan's said, keep away if you can. Have a read of that linked thread and go from there. If you have any further questions after that then feel free to ask. We're coming into the season now so they should pop up more often. It will need to be an all day troop with one of the staff or events team there, if that's the case and it's not marked as an induction just ask if it can be made into one, they can't always but always worth asking. 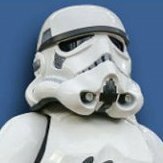 https://authenticstormtrooper.com/product/shepperton-design-studios-original-stormtrooper-battle-spec-full-armour/ Hello everyone! Looking into getting my first TK build started and wanted to know if this kit is a good starting point to get basic approval. If not, what modifications would need to be made and would it be worth it or should I look into getting a kit from somewhere else? OK I'll join in, are you ready lol ANH Stunt TK......................... but.... Am sculpting and working on3D modeling and molds for TB full armour molds 80% complete TK full armour molds 30% complete Tusken mask (complete) combination of vac formed and resin cast parts Fett Helmet mold complete roto cast we make these fully assembled and painted and donate them to the garrison for raffle prizes at con's TFA F-11D resin kits 3D parts printed and preparation under way to make resin casts E-11 resin cast (still compiling original sterling parts) ANH Tie full armour molds under construction AT-AT driver helmet and armour molds under construction so you see, I have no money for making a costume for myself, but there is a team of us working on these and more projects. Hey everyone! New here and am really looking to get my first armor set, specially a ANH TK to start out. 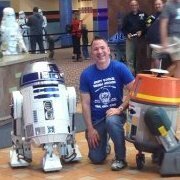 Really want to at least meet basic approval for the 501st so I can become an official member and begin trooping here in FL. I’ve been doing my research and looking into different sellers for armor and really want to make sure I get an accurate kit so I don’t blow over $1000 on something that won’t even meet basic approval standards. So far I’ve been looking into the Facebook group Walt’s Trooper Factory to get a commission done as well as RS Propmasters. 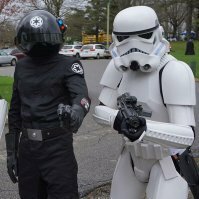 Also this site sells TK kits that I’m wondering are ok for basic approval or not and if not what modifications would need to be made: https://authenticstormtrooper.com/product/shepperton-design-studios-original-stormtrooper-battle-spec-full-armour/ Any help from current 501st members and fellow TK kit owners would be greatly appreciated! Thank you!